Former US president Barack Obama has urged voters to mobilize and return control of Congress to Democrats as he denounced what he said was the "politics of fear" dividing the country. Obama told a crowd in Anaheim, California, that the nation was "in a challenging moment." 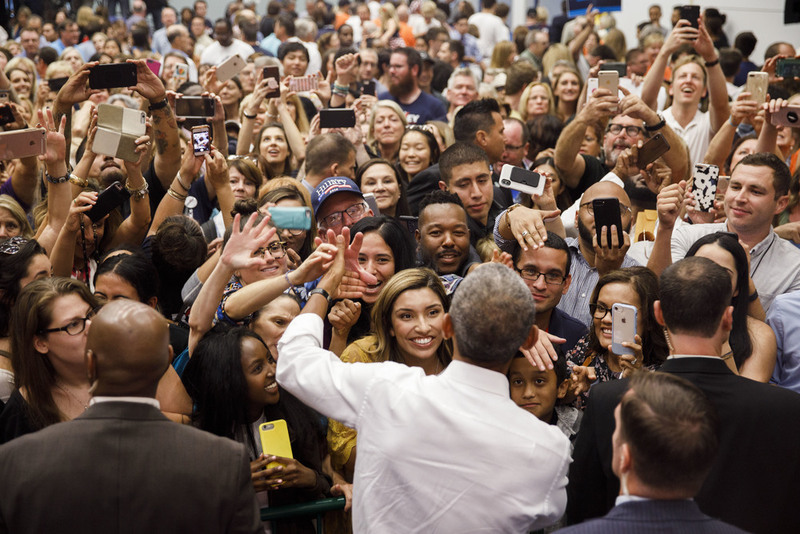 Casting aside the traditional low profile of a former president, he returned to the campaign trail on Friday in Illinois to help Democrats running in the November mid-term elections. In Anaheim, he said voters need to "restore some sanity in our politics." He said stakes were high as people feel scared about a troubled health-care system, the high costs of education, a warming climate and more. Obama, 57, said the greatest threat to US democracy comes not from any single individual. "It is apathy, it is indifference. It is us not doing what we're supposed to do," he said. Donald Trump, asked about the speech, quipped that he had watched it but fell asleep.